It’s our opinion that those who smile more are just happier in general. After all, having a smile that you are proud to show off allows you to have even more confidence than you already do. With confidence comes new friendships, promotions and much more. Right now, you may feel okay about your smile, but undoubtedly there is plaque and stains that keep you from feeling great about showing off your pearly whites. If these are the sort of things that are keeping you from smiling throughout your day, there is no need to worry. If you live in Woodbury, we have the answer. It’s time for you to stop into our dentistry office and see how we can help you to make your smile better. This may mean different things for different people but regardless of what you dislike about your smile, Corsi Dental Associates can help. Continue reading below to find out the many ways we can assist your smile and boost your confidence. While brushing and flossing every day does go a long way, having oral cleanings completed at your dental office is still necessary. You may think there is no way you missing large portions of your teeth when you are brushing but the truth is, your dentist or dental hygienist can reach places in your mouth that you didn’t even know existed. When you have regular oral cleanings, you can maintain your overall oral health over a much longer period of time. Not only will your teeth feel better but they will look healthier as well, leading to you feeling like smiling more often. There are few things that are worse where your smile is concerned than missing a tooth or a few teeth for that matter. If that is the case for you, it’s time to make your smile complete again. 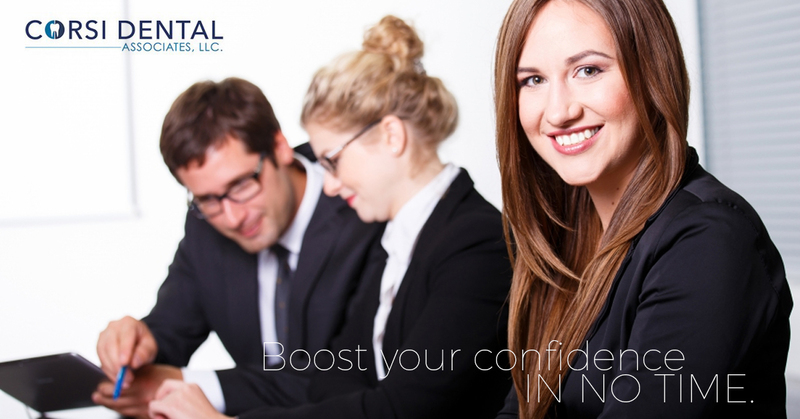 When you come into Corsi Dental to have a partial implanted, you can boost your confidence in no time. You will begin to feel like yourself again in no time and once you start showing off your new smile, you’ll be receiving compliments of your beautiful grin everywhere you go. One of the best ways you can give your smile a makeover is to have teeth whitening sessions. When you get your teeth professionally whitened at a dental office, you will see results much faster than you would with an over-the-counter teeth whitening product. Even if you don’t think your teeth need to be whitened, it might be worth stopping in for a consultation at Corsi Dental today. We can show you how much whiter your teeth can be. You may not believe what an incredible transformation it can make for you. Do You Want To Feel Better About Your Smile? 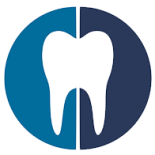 Regardless of what you need to make you feel better about your smile and subsequently about yourself, we can help you at Corsi Dental Associates. We look forward to giving you the gift of loving to smile!